Hey guys! This is Nick, the deep-voiced torso and host of Cocktail Chemistry (proof). My YouTube channel owes a lot of it's success to the Reddit community, and hitting the front page with some of my weird creations has inspired me to keep this side hobby an important part of my life. My videos range from crazy presentations of cocktails to basic cocktails and fundamentals for those getting started. I've also done some fun recreations of drinks from TV and movies. Hey team, that's gonna do it for me today! I'm off to get lunch and prep for the live chat this afternoon. This was awesome, hope to do it again sometime. Greetings everyone my name is Ian and 10 years ago next month I flew home from Beijing on BA 38 (https://en.wikipedia.org/wiki/British_Airways_Flight_38). This came up during the recent AMA from a flight attendant so here I am AMA. Here's the BBC article. There is an interview linked on the right hand side but it appears that the video is lost in RealPlayer hell. and here's me now hiding from my in laws post Christmas. Edit: Just taking a little break to watch the Snow Bears show on BBC 1 and the mandatory socialising. I'll be back in an hour or so to answer more questions. Edit 3: Thanks everyone it's been fun. I'm going to go to sleep now but I'll check back tomorrow in case there are any urgent burning questions left over. Want to suggest content for #CreepyIP? You can email us anytime at socialmedia@uspto.gov with the subject line "#CreepyIP". Make sure to include the issued Patent or Trademark registration number so we can find the item in our archives. I've worked at Chipotle for half a year during opening, rush, and closing shifts. I've worked as a line server, grill operator, and prep cook, so needless to say, I've seen a lot! Ask away! Edit: Ok guys! That'll be the end of the questions, but I will answer the recipe questions once I know them! Thank you very much for your time, and consider eating at Chipotle! My short bio: I was a freelance writer for outlets like Vanity Fair, The Guardian, Skeptic, and Huffington Post when I was invited to assist a faction of Anonymous that was assisting with the Tunisian revolution. Shortly afterwards Anonymous hackers stole 70,000 e-mails from an "intelligence contracting" firm that had put us under surveillance, thus exposing the Team Themis conspiracy whereby Palantir, HBGary Federal, and other firms with "black propaganda" capabilities had proposed hacking, disinformation, and intimidation of activist groups like Code Pink as well as Wikileaks and even its supporters, including Glenn Greenwald. Although one CEO had to resign, a Congressional investigation was quickly derailed and no one suffered any consequences (despite having planned DOS attacks, the exact thing for which Anonymous participants had been pursued for via heavily armed FBI raids after they took down MasterCard and Paypal websites for a few seconds in protest of their refusal to process donations to Wikileaks). Thereafter I repurposed my online "think-tank," Project PM, to continue researching these firms and others like them, compiling our research on a wiki called Echelon2.org (since moved). The FBI eventually raided my home and my mom's house, with the search warrant listing our website and group as subjects of interest. Thereafter they threatened to indict my mother if I failed to cooperate; instead, I threatened to "ruin" the life of the lead agent, using the same tactics that HBGary Federal CEO Aaron Barr had planned to use against activists with the DOJ's blessing. Separately, I vowed to defend myself against any further raids. The two statements were conflated by the DOJ and used to indict me for threatening a federal agent, which actually requires one to make a violent, non-conditional threat, whereas I'd made one non-violent threat and one conditional threat. Later, I was charged with 11 counts of aggravated identity theft for having copied and pasted a link from one chat room to another that I believed contained more e-mails, but which in fact included credit cards. I faced 22 years for that link alone, in addition to other charges. The DOJ later had to drop those and other charges, and I plead guilty to one count of internet threats, one of interference with a search warrant, and one of accessory after the fact (I called Stratfor, a company that had been hacked, and offered to help redact any e-mails that could put someone in danger). I was also ordered to pay over $800,000 in restitution to Stratfor. There are several documentaries covering much of this, including Hacker Wars, We Are Legion, and Alex Winter's 18-minute film Relatively Free, as well as some pretty good articles at WhoWhatWhy and The Nation describing the other plots we uncovered and documented. While imprisoned, I continued writing, doing a column called The Barrett Brown Review of Arts & Letters & Prison that was later picked up by The Intercept, and for which I won the National Magazine Award for commentary/columns in 2016. I was released November of last year, and am now preparing a new project, called the Pursuance System, by which to build up a cohesive yet agile network of opposition to criminalize institutions while also helping activists and non-profits to cooperate more efficiently. You can read more about it here. My Proof: Picture from last week sent to mods here. Here's a live video from my Facebook. Can resubmit that picture as well if needed. EDIT 5:34 CST I'm going to run down to the store, but will be back in fifteen or twenty minutes to answer more questions. EDIT Am back, and will continue to answer questions sporadically through the evening. EDIT 9:00 PM EST I'm going to play some Team Fortress 2 for a bit and relax and whatnot but I'll be back to answer more questions later tonight, and will get to more tomorrow as well. EDIT 1:53 am EST Well, my Facebook account has suddenly been disabled without explanation, in case anyone's wondering why the link above no longer works. In at least six cases since 2001, professed racist "Odinists" have been convicted of plotting – or pulling off – domestic terrorism attacks. Odinism is a perfect fit for a strain of white supremacists and neo-Nazis who think Christianity has been corrupted by outsiders and weakened by passivity. Today’s racist Odinists say it is the only pure religion for white people, one not “mongrelized” by the Jewish prophet Jesus. They see themselves as warriors, ready to reclaim America for the white race and fight against a white genocide, driven by Jews, that has left the greatest country on Earth in tatters. It's that time of year again! I think this will be my third year doing this. I am the owner of The Thomas House, situated in the historic Liberties district of Dublin. It's paddys day, one of the busiest days of the year. I'm here to answer your questions and keep you up to date on what's happening here. Ask me anything! Thanks to you all for such a fun time! If I missed any of your questions you might be able to find some of the answers in my new book, BLITZED: Drugs in the Third Reich, out today! My short bio: I've been in the restaurant industry for about a decade with five years in fine dining. Graduated from college in a STEM field, but starting salaries couldn't match what I was doing in the restaurant, so I decided to stay a while. A few years went by and I kept climbing diagonally within the industry and ended up in a high end restaurant with a huge staff and high-end clientele. I have worked most positions within the front of the house in a restaurant, ranging from food runner, bartender, to manager, hosting, and waiting tables. It's a unique industry, with really unique people. You end up working with some very driven people and some very lazy people. Nonetheless, I'm open to any questions about the industry or the fine-dining in general. My Proof: Provided to the Mods. My short bio: I live in a big college town known for the good football team. Ask me anything! Edit: Thank you guys so much for the questions! I'm going to sleep now but I'll be back in the morning if you're still interested. I am a retail worker at a relatively new Krispy Kreme location. This is my first job and I have worked nearly all positions on the retail side. 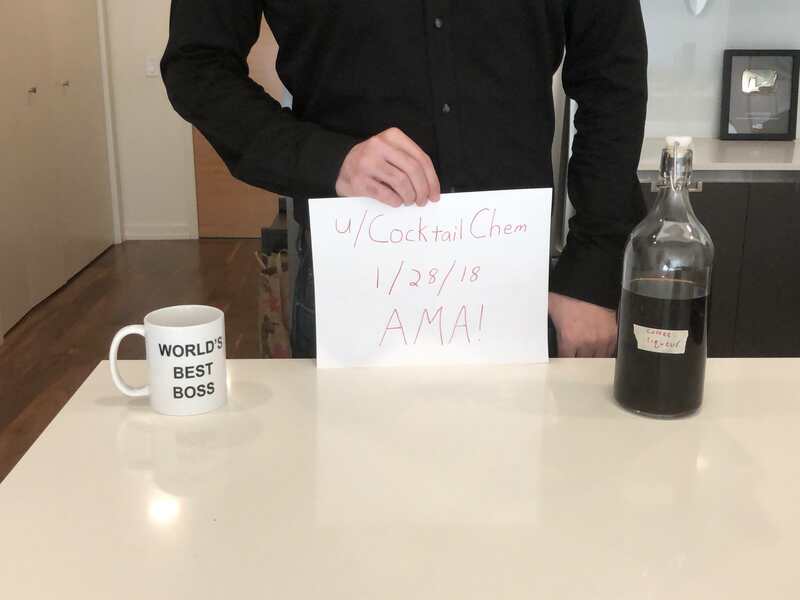 AMA! Hello, I am Dr. Justin McWilliams, an interventional radiologist at UCLA (https://www.uclahealth.org/justin-pryce-mcwilliams)! I specialize in using medical imaging (x-ray, CT, etc.) to treat your medical issues in a minimally invasive way, often helping patients avoid major surgery. I divide my time between treating patients and performing medical research. Ask me anything about interventional radiology, cancer treatment, minimally invasive solutions to your medical problems, the world of academic medical research, exciting new technologies in medicine, or anything else! Edit #2: Will have to go at 1 pm EST- I am giving a lecture on HHT and liver AVMs at 1030 here in California, and my chairman will be there, so I better be on time. Thanks! Edit #3: Have to go, but I'll be back when I have time, since I am a little OCD and can't leave questions unanswered, it will haunt me. Special thanks to UCLA resident physician Kevin Seals (https://twitter.com/kevinsealsmd) for telling me about Reddit and helping put this together. Reaching out to Kevin on Twitter is probably the best way to get ahold of me if needed. Cheers everyone! My short bio: Hi Reddit! 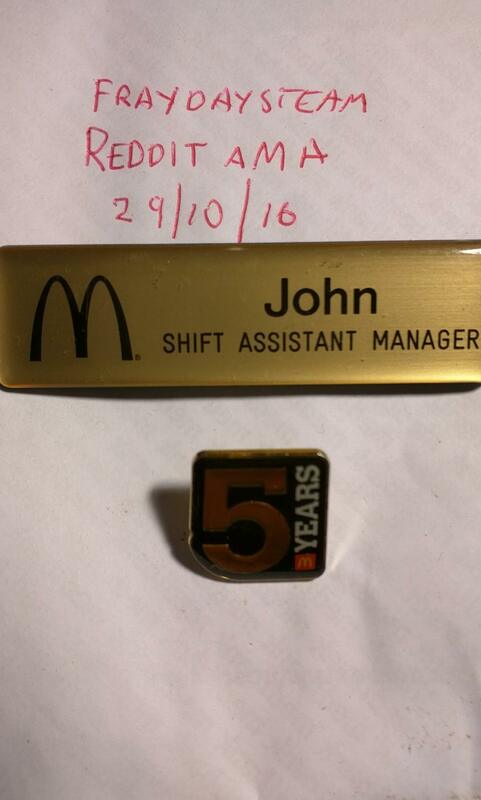 I’m John, a McDonald’s overnight manager of 5+ years. I feel like I have seen all the craziest things you would expect and more. Feel free to ask me anything. I can also answer any questions in relation to running a business, as I do that in my spare time. Edit #1: Since many people here have asked, the business I recently started is Gym Supplements Box. We make boxes of full-sized gym supplements, giving everything necessary for muscle and cardio workouts. Working at McDonlads and running a fitness business, yes the irony..